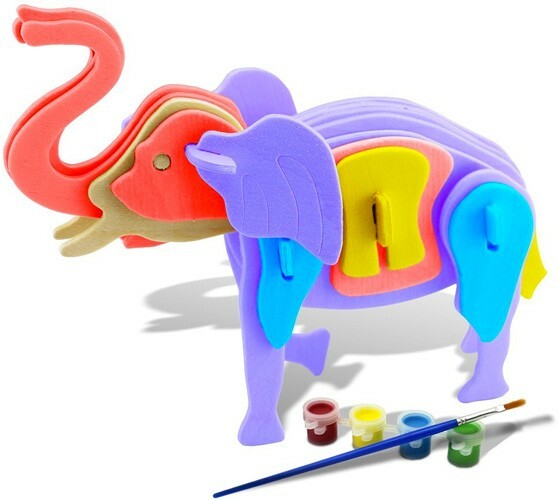 Enjoy building and painting your own 3D animal puzzle with this kitt from BFUN! These 3D puzzles are a perfect fit, so they're easy to assemble into sturdy and durable 3D figures. 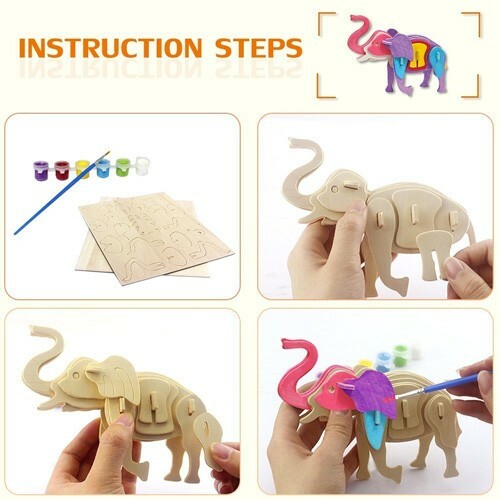 With no glue or tools needed, and no nails or sharp corners, even young kids can get in on the fun. Then, enjoy painting your puzzle so it looks just the way you imagine it. Puzzles are available in a variety of animals! 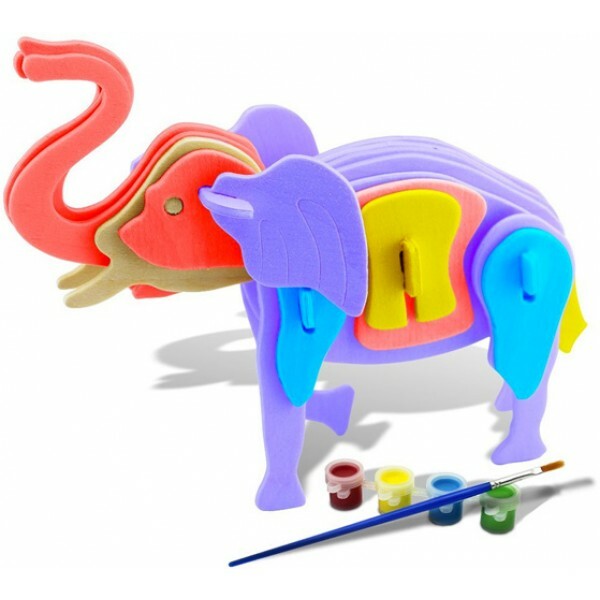 This set includes one puzzle, four colors of paint that you can mix to get a wide variety of shades, and a paintbrush. 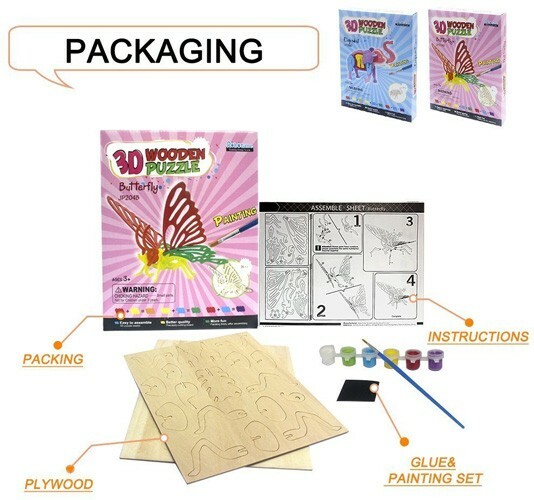 Parents will also appreciate that this set is made from FSC certified wood.